Before moving to New York, the one thing I was most excited about was catching small films on limited release before they get released nationwide, and in most cases, worldwide. I always wanted to witness a good independent film snowball through word of mouth, and grow legs, so to speak. You know, to see a film take its first steps towards success, and to see it all firsthand. I caught Alejandro Gonzalez Inarritu’s “Birdman or (The Unexpected Virtue of Ignorance)” while it was playing in only three theaters across New York, but before its limited release, “Birdman” had already made the rounds at film festivals, and it wasn’t growing legs; “Birdman” had already spread its wings. I can only assure you that those wings will keep flapping across the awards season all the way to Oscar night. Michael Keaton delivers the best performance of his career, in what is unquestionably, the biggest Hollywood comeback since Mickey Rourke stepped back into the ring of cinema as “The Wrestler”. Keaton displays a full array of complex emotions, delivering one performance within the other, and then reinventing the performance within the performance over and over again. This is the work of an actor in complete control of his craft. That said, his powerhouse performance is matched with an equally outstanding supporting cast. And while, many are calling “Birdman”, Keaton’s comeback, the same case could be made about Edward Norton’s return to cinematic splendor. I’ve always respected Norton as an actor, but he hasn’t delivered any awards worthy performances since “25th Hour”. Here, Norton soars right next to Keaton. Keaton was once the blockbuster superstar of “Batman” films, and it wasn’t long ago that many predicted Norton to be the next Robert De Niro. Both actors deliver brutally honest portrayals of characters sharing remarkably similar careers as the actors themselves. Also deserving much praise is Emma Stone, who in one scene delivers a heartbreaking monologue that left the entire audience in complete utter silence. 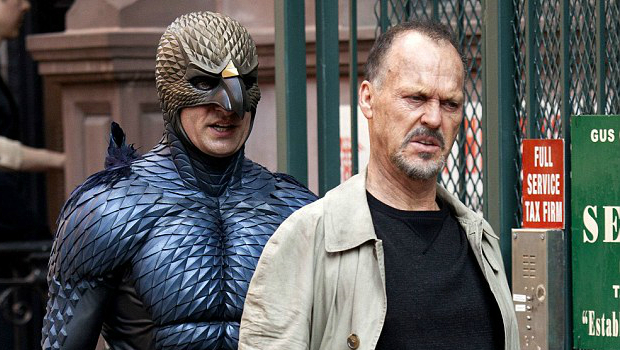 On a purely technical standpoint, “Birdman” is the most impressive film of the year. Most of the film was shot in a way to give viewers the illusion that it is all one continuous long take. The sweeping cinematography and smooth editing flow together in perfect harmony making it nearly impossible to spot where the filmmakers interrupted the seamless visuals. Like all great films, “Birdman” is about life itself. Inarritu satirically mocks professional criticism, blockbusters, art, and even social media, in a film that is just as much about the film industry itself, as it is about the pursuit of happiness, and our ridiculously desperate need to be admired, recognized, and respected by people that shouldn’t really matter to us. It is, in many ways, a wakeup call to look around you, and realize the people you take for granted everyday, the people who love you for who you are, regardless of success or failure. 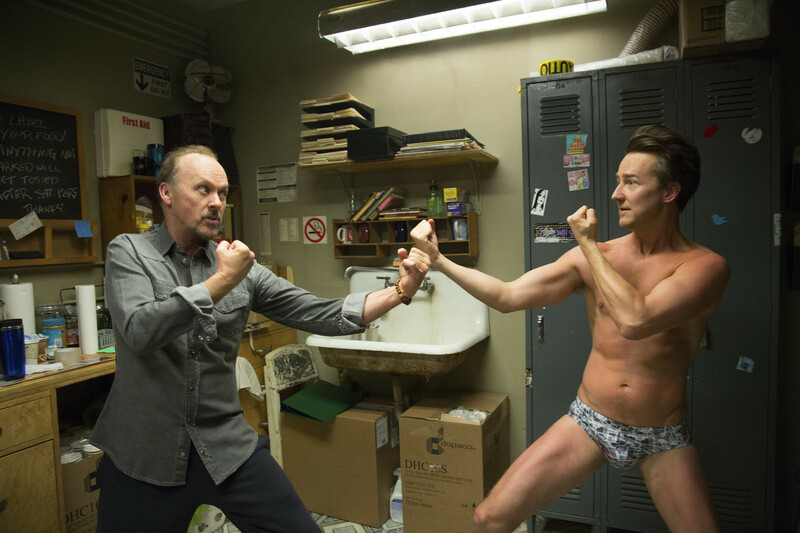 “Birdman or (The Unexpected Virtue of Ignorance)” is one of the best films of the year. Make sure to catch it when it flies over your nearest picture house. Came here to see what you thought of Birdman, really love your film reviews by the way. Birdman arrived quite unexpected I thought.The trailer was good and it’s nice to see Michael Keaton after a long time. It’s definetly one of the movies I enjoyed this year..
First of all, I am not a professional critic but I do work in the entertainment business. I am not motivated by politics or corporate positioning and have no vested interest in this or other films competing in the current marketplace. With that said, this is a pretentious experiment that only daft art school students and guilty “professional” critics can appreciate. Fans of the theater will find it amusing for the first hour until it begins to feel like Ground Hog Day meets All That Jazz, orchestrated by Paul Thomas Anderson’s nails on a chalkboard. Performances: Exactly what you would expect from talented actors but the fun ends there. Creativity: A one trick pony, think Hitchcock’s Rope without the fun, that will make you want to get the heck out of the “theater”. Keep in mind, you need to avoid seeing this if you get motion sickness. Cotton mouth, here it comes! Execution: As an example of what can be done in and around a Broadway theater, with a “single” take, it succeeds only as an experimental museum piece. Even then, most folks would walk out before the end. It’s one of the most pointless, sluggish, and taxing experiences you will have in the theater.